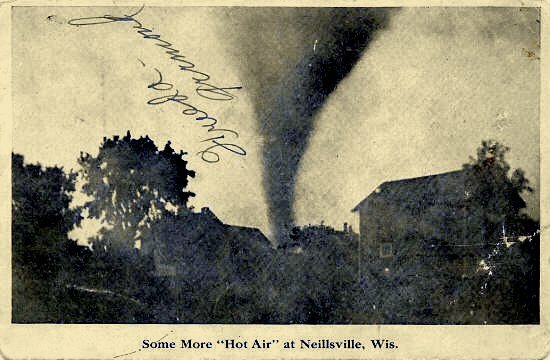 1907 Picture Postcard of Neillsville, WI just after the tornado. 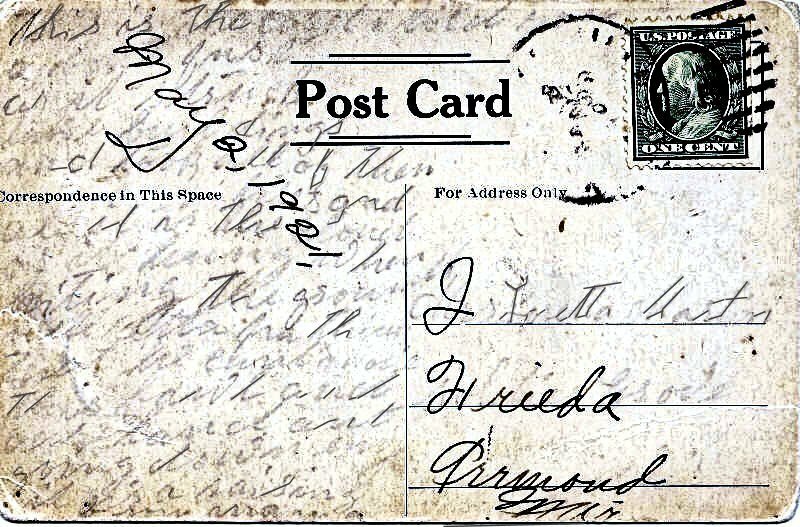 Please let us know if you can translate the message on the card. County-wide Info: Good Old Days News Clips, June 22, 1994; transcribed by Dolores (Mohr) Kenyon. "This is where they cleaned up by Schanles and this is where Seiklovers wants to put it. You can see this very well when you are looking through binoculars. Thank you so much for adding that message. It certainly makes the photo more interesting to know what the card said! 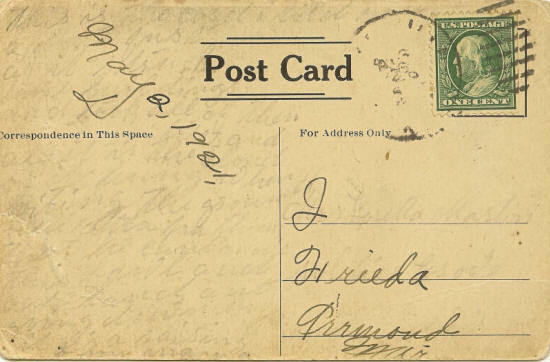 The card below was also submitted to the site, sent Aug. 26, 19?? 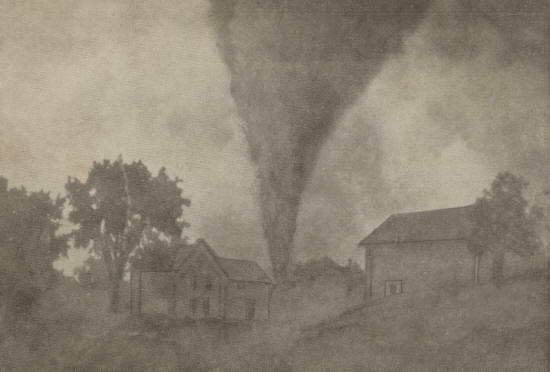 Even though someone wrote, May 2, 1921 on it, at a later time, it is most likely another photo from the 1907 Neillsville Tornado. 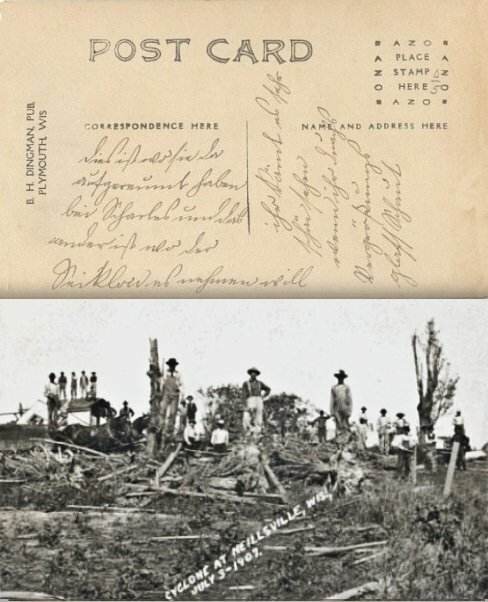 Click on this card to enlarge it--if you can tell what the underwritten message says, let us know!